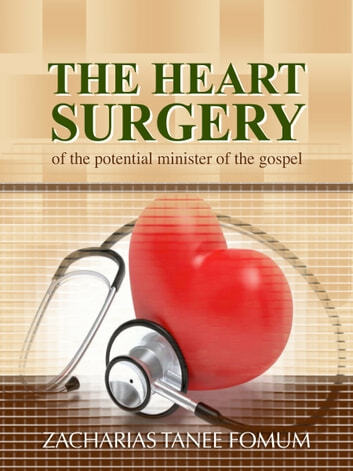 The Heart Surgery of the Potential Minister of the Gospel, presents a series of lectures by Professor Zacharias Tanee Fomum to Missionaries and would-be missionaries at the School of Knowing and Serving God (SKSG) - The Missionary Training Academy of Christian Missionary Fellowship International, Yaounde, Cameroon. Drawing from his own life experience and spiritual history with God, Professor Fomum, addressing specific co-workers, explained the kind of life and heart God desires and approves in a minister of the Gospel. He emphasized that God is primarily concerned about ‘Who’ the Gospel Minister is than what he actually does. In The Heart Surgery of the Potential Minister of the Gospel, Professor Fomum emphasised on the fact that the work of the Gospel requires a certain kind of worker - the right kind of worker in order to please and satisfy the Lord of the harvest. It is only work and service from such a heart that can meet God’s approval. He taught extensively on the fact that the content and quality of the heart and life of a Minister of the Gospel is a determinant factor of his acceptance, usefulness, and impact in the service of God. Holiness, radical repentance and the forsaking of all sins are the expedient attributes and qualifications of a competent minister of the gospel. The Heart Surgery of the Potential Minister of the Gospel is a must read for every Minister and would be Minister of the Gospel who desires that the Lord - the great Physician, should work through the Holy Spirit in him/her to perform the needed surgery that would produce a useful vessel whose life and work can find acceptance before God, bring joy to His heart and receive His approval and commendation. May the Lord through His Holy Spirit use the content of this book to bless many Ministers and would be Ministers of the Gospel exceedingly.